Thanks to everyone at the Writer’s Digest Annual Conference that stopped by the booth. It was great to talk to so many creative people and to find out what issues you are dealing with. While I was not surprised by the need that so many writers have for website help, I was a bit surprised to find out how many of you are interested in day-to-day social media management. I’m looking forward to following up with those of you who have immediate needs. And of course, I’m looking forward to continuing the conversation with those of you that are not quite ready to take the next step right now. Thanks to the wonderful team at Writer’s Digest for the smoothly running conference. A website for a public radio program that airs across the United States. 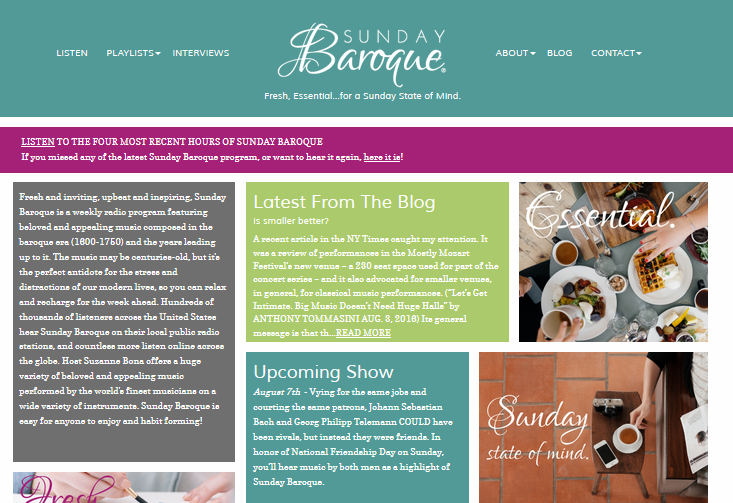 See the full site at http://www.sundaybaroque.org. 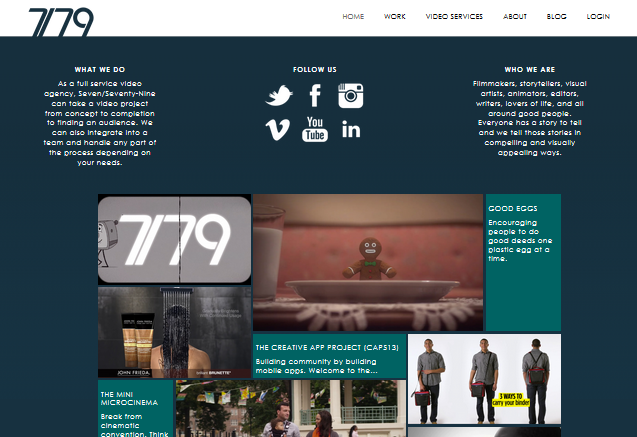 A site featuring the work of a talented group of videographers, video producers, and video production experts. See the live site at http://779video.com. An online magazine that covers the work of Stephen Sondheim, Everything Sondheim features the work of scholars throughout the U.S. and England. See the full site at https://everythingsondheim.org. We’re really excited to be embarking on this new adventure. I’ve been creating websites for over a decade, and I’m so pleased to be able to bring my expertise, and the talents of our team and partners, to the aid of writers. We’ll have more to write soon, but we hope you enjoy this site and our posts.